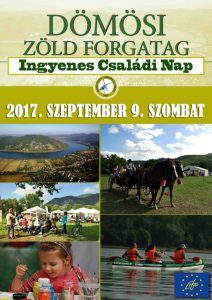 We are inviting all families to the annual event – Green Day in Dömös which will take place 9th of September 2017. You will enjoy many different activities for children and adults in the heart of beautiful nature in Danube floodplain forests. PreviousPrevious post:Go Wild! Stay Cultured. International Nature and Culture Photo Contest within the European Year of Cultural Heritage – 2018NextNext post:School timetables and tatoos!